The USSR victory over the Nazi Germany will always be part of the humankind history and it obviously should not be forgotten, Russian President Vladimir Putin said Tuesday at a Victory Day parade in Moscow. 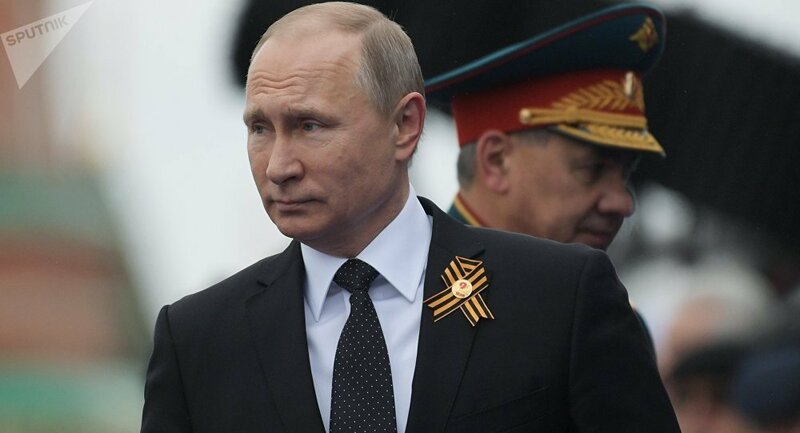 MOSCOW (Sputnik) — The victory of the Soviet Union over the Nazi Germany will always be part of the history of the humankind and the price at which it was won should not be forgotten, Russian President Vladimir Putin said Tuesday at a Victory Day parade in Moscow. "The triumph over this terrible totalitarian power will forever remain in the history of the humankind as the largest triumph of life and reason over death and barbarity. We have to remember that the victory was gained at the price of enormous, irreparable losses, that the war has taken millions of lives," Putin said. The Russian president remarked on the decisive role that the USSR played in this victory and noted that the tragedy failed to be prevented because of the lack of accord between the leading countries of the time. 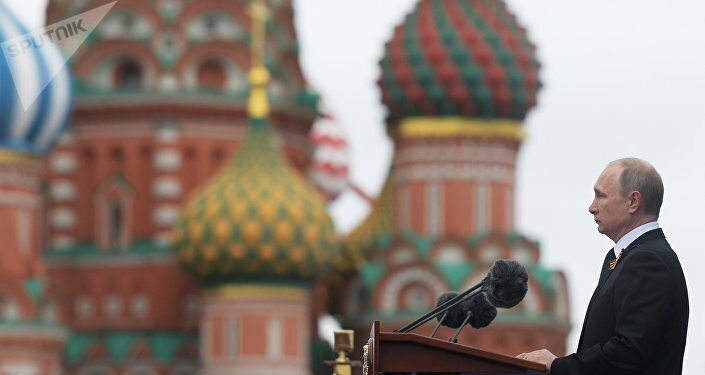 "We will never forget that our fathers, grandfathers and grand-grandfather fought for and won the freedom of Europe and the long-awaited peace in the world," Putin said. The president added that people of all walks of life, old and young, made their contribution to the fight for peace. "Today, we are honoring the memory of those who did not come back from war, the memory of sons, daughters, fathers, mothers, grandfathers and grand-grandfathers, husbands, wives, brothers, sisters, fellow soldiers, family and friends. We are mourning the veterans who have already passed away," Putin said. The president then announced a minute of silence to honor the memory of the victims of the war.